Those with impaired hearing may use receiver systems to keep track of sound alerts in the home, for example the ringing of the doorbell or telephone. However these receivers are often bulky, designed to plug into the mains as a primary receiver base. What if you're after something more slimline, to keep on you as you move about your home? The Bellman Visit Wrist Receiver for the Hard of Hearing is the range's most compact receiver to date, a stylish and lightweight device that attaches to your wrist like a watch. 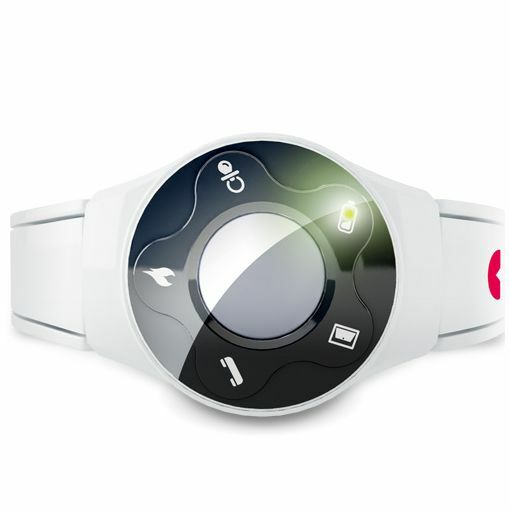 Its sleek design features a replaceable wristband and alerts the user with coloured lights and discreet vibration, helping ensure you never miss an alert. The Bellman Wrist Receiver is fastened around your wrist and works with existing transmitters in your Bellman Visit System, for instance the Bellman Telephone Ring Transmitter. If activated, radio signals are transmitted from these devices to the Wrist Receiver, which will then alert you using coloured lights and discreet vibrations. This keeps you aware of any activity in a non-intrusive way. Individual alerts can be set for different triggers so you can know exactly where the signal is coming from, whether this is the ringing of the doorbell or something more urgent like the sounding of the fire alarm. The Wrist Receiver is for indoor use only. Only use the correct rechargeable batteries for this device - the acid in non-rechargeable batteries can leak and damage the electronics. The receiver is for use with Bellman transmitters, which can be purchased separately.